Mountain Biking With Kids - Every Pedal Stroke Counts! Mountain Biking With Kids - Every Pedal Stroke Counts! 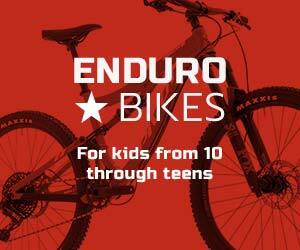 If you have a teen or pre-teen, this is the time to upgrade your kid's mountain bike. 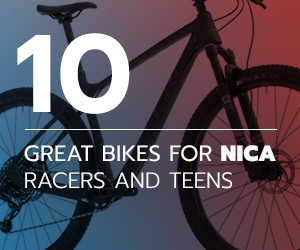 Here are some great spring 20119 deals for NICA athletes. Aaron tells us about life on two wheels and what he puts in his oatmeal. He even offers a little advice to parents with young mountain bike racers. Hannah's path to becoming a pro mountain biker stemmed from a different sport. Read our interview to learn more about this globe-trotting NICA alumna. What’s on your bucket list for family mountain bike rides? How about Whistler’s Lord Of The Squirrels? 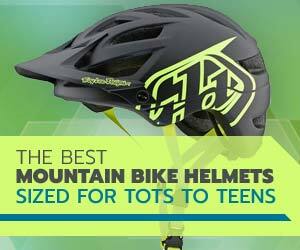 Choose the best mtb helmets for kids, full-face helmets for kids, or enduro helmets for kids. 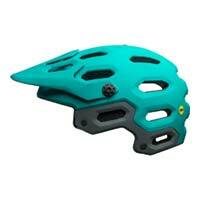 The Giro Disciple with MIPS full-face helmet is a good looking lid for kids. 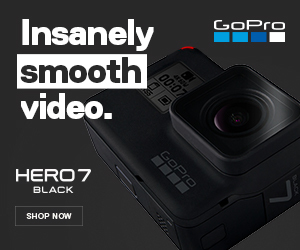 It also sports a couple of nifty features for your tech-minded mountain biker. Our family is a fan of Bootleg Canyon Mountain Bike Park because it's a wonderful way to escape the snow and cold during our local winter months. 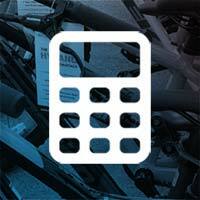 Selling a used bike doesn't have to be frustrating. Invest a little time and money, follow our tips and you will sell your used mountain bikes faster. Kids' mountain bikes vary by cost, size and features. This page will help you find your kid's next bike no matter how old they are. The Rocky Mountain Reaper is at home on the rough stuff. Read our review featuring this 26 inch wheel full-suspension mountain bike for kids. Coast Gravity Park is a mountain bike park near Sechelt, BC. It's open 12 months out of the year and a great detination on the Sunshine Coast. Is your young mountain biker ready to go full enduro? Keep her/him safe and comfortable with our selections of the best enduro helmets for kids. Our picks for the best mountain bikes for your 5-8 year old include an option with 20+ inch wheels and a fat bike. We had a short conversation with Jacob Rheuban of Prevelo Bikes. Read about how 2018 went for this kids' bike company from the perspective of its owner – a dad and entrepreneur. We have used the Helinox Two camping chairs all year and they're great. Whenever we roadtrip with the bikes, we're always sure to bring these along. The Prevelo Zulu One is a rigid single-speed bike with 14-inch wheels. And, we think it will be many 3-5 year old's first off-road bike. Zen is a super fun St. George mountain bike trail with many challenging obstacles and a fun descents. We're introducing a new segment where we will share videos we hope your family find interesting and fun. Maybe they'll have bikes in them – maybe not. Perhaps you've seen these before – perhaps not. Trailside is a free mountain bike skills park with something for riders of all skill levels. The Snake Hollow Bike Park is located in St. George, Utah. It has skills areas and jumps for the entire family. A NICA race course is also planned for the venue. The designers at Woom have made a unique kids' helmet with the safety features and functionality you need to know about. Take a look at these great deals on five big mountain bikes for big kids. Get one now before they're gone. Gooseberry Mesa is an amazing mesa-top trail with a fun combination of sandstone and dirt singletrack with intermediate and advanced technical features. You’ll be treated to amazing views of Zion National Park and stunning desert landscapes from the cliff edges of the mesa. Church Rocks is a fun intermediate ride on slickrock and a little clay with the added adventure of riding through a fun/spooky tunnel. Church Rocks can be linked with Prospector or Dino Cliffs for a longer ride. 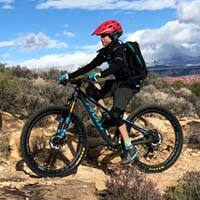 Young mountain bikers can join a NICA team as early as 7th grade. Here's are 10 mountain bikes that will help them enjoy cross country racing. Thunder mountain is an advanced technical trail with seriously amazing views. The trail is mostly hard packed clay, with some slickrock and loose, steep switchbacks. Is the full-suspension Trailcraft Maxwell 26 a do-it-all kids' mountain bike? Read the words; look at the photos and videos. Then, choose a color. Here are our picks for bike racks. They are not cheap, but they will ensure your family's mountain bikes arrive at the trail head undamaged. These Patagonia duffel bags hold more than the average daypack or medium sized suitcase. But are they a good option for your family on the go? The Woom 5 was designed in Vienna, Austria – just like Beethoven's 5th symphony. Is this a coincidence? Is this a cycling masterpiece? Read on! You can't put a price on fun, but you can determine the overall cost of your kid's last mountain bike. Plug in the numbers and see the results. We tried out the Alta Racks, Alta Six GPR bike rack system. This bike rack holds up to six mountain bikes and it's made in America. See what to expect when taking on Into The Mystic, On The Rocks, and Lord Of The Squirrels. These three trails make for a mountain bike ride you will never forget. A removable chin bar for the Bell Super 3r provides another level of protection for your kid's cute face when trail conditions get rowdy. Experiencing Crankworx Whistler in-person with your family is an extraordinary experience. You'll be at the biggest mountain biking party on the planet. Every year, thousands descend on the mountain biking mecca of Whistler to enjoy pristine trail conditions, inexpensive accommodations and short lift lines. Sarcasm off. Let's face it. The world is getting smaller every day and many of our beloved trails are multi-use. Exhibiting proper trail etiquette with children helps ensure mountain biking's growth and sustainability. Kids grow out of stuff fast. That means our 11 year old got to try out a pair of Five Ten Freerider Contact mountain biking shoes for the season. Pop in one of your favorite Nickelback tunes and enjoy as Wyatt takes on a rowdy Whistler trail. Cheap Thrills features loam, woodwork, rock rolls and cagey turns. Park City professional mountain biker Haley Batten tells us about mentoring young ladies through her partnership with the Little Bellas program. The Trailcraft Maxwell 24 is a premium full-suspension mountain bike for kids. The model we review in this article featured a Shimano XT components and Stan's No Tubes wheels. Kid-sized downhill mountain bikes are special machines for bike parks and shuttling. They're equipped with dual-suspension and ready to hit the rowdy technical tracks and jump lines. Dads from Hong Kong, Venezuela, Italy, and Canada tell us what they enjoy most about riding bikes with their kids. Happy Father's Day to all the MTB dads out there. It's finally road trip time! Before you load up the mountain bikes, load up your smartphone or cd player with these audiobooks we've enjoyed over the years. The Outlaw Bike Team is a group of young Utah gravity mountain bikers led by a dedicated coach. Learn a little about the team and what they have in store for the upcoming season of riding fast and free. We reached out to a few moms around the world to see why they enjoy mountain biking with their kids. All of these little stories and comments are lovely and demonstrate why mountain biking is so much fun for families of all ages. Over the last few years, enduro races have started to allow kids aged 12 and younger to participate. Here are some of the full-suspension mountain bikes for kids that allow for technical descending and pedaling the transitions. This feature was written by high school mountain biker Chiana Rossiter. Read on as she shares some of her NICA mountain biking experiences. If your family has a couple years of mountain biking experience and everyone's up for a challenge, consider the Captain Ahab trail in Moab. We got our hands on a Spawn Yoji 14. This highly adjustable kids' bike for riders aged 2.5 and up features 14 inch wheels, hand brakes and a fab saddle. Ready for something new in southern California? Spend a day at the renovated and revitalized SkyPark At Santa's Village. The bike park offers several fun trails and there's plenty of other activities at this winter-themed park. 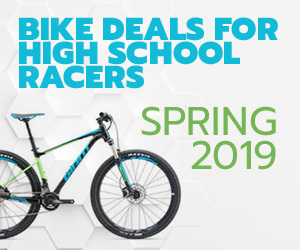 Buying your kid's next mountain bike can be a lot easier if you do your research and work with your local bike shop to obtain a proper fitting bike. Full face mountain biking helmets will help protect your kids' cute grills as well as your investment in advanced orthodontics. This 24 inch wheeled mountain bike was put through its paces by a young girl who has raced and jumped the bike. Read what she says about this front-suspension option from Orbea. Boys Bikes And Girls Bikes – What Is The Difference? Some bike manufacturers classify their bikes as Boys Bikes or Girls Bikes. We take a quick look at how this came to be and question if it's still necessary. If your 4-6 year old biker is ready to transition to their first pedal bike from a balance bike or bike with training wheels, you should look at this 16-inch wheel offering from Prevelo. Want to plan a summer trip to Canada from the U.S. so your can mountain bike with your kids? We're sharing some of the things we've learned over the years. The non-profit youth bike club Norte gets more kids on bikes by showing them what can be gained for the community when they participate and join this unique club. The Mallen family attends Red Bull Rampage 2017 in southern Utah. Read about how to get tickets, where to stay, and the Fanpage for the groms. We've tried a few different brands of mountain biking shorts for our kids over the years. These shorts from popular brands are built for fit, comfort and function. The Leatt DBX 5.5 Junior neck brace can be partnered with a one piece full-face helmet to provide your aggressive grom an additional level of protection. The Soley family lives in Pennsylvania. They make the most of riding season by being well-prepared for the upcoming cold weather. The Scott Scale RC JR 24 is a race ready cross country mountain bike designed specifically for kids. Find out if this frame and build is a good fit for your young rider. We've chosen three seasonal favorites for October's audiobooks. Bring these along so your young mountain bikers look forward to the next long drive. The Horsethief Bench Drop-In near Loma, Colorado is unique. Thankfully, it has remained one of the most accessible and difficult sections of trail in the western U.S.
Fall is here and Colorado offers great mountain biking for families. Out of a ga-jillion possibilities, we chose five trails/areas we hope you will explore with your kids. Bellingham, Washington is a lot of fun for mountain bikers of all ages and skill levels. Here is our 14 year-old taking a lap down one of the area's best trails. These mountain biking shoes for kids are a wonderful accessory if your kids like to ride with flat pedals and get rowdy. 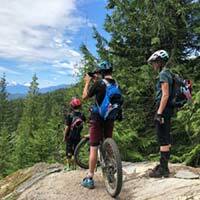 Whistler's Summer Gravity Camps offer week-long mountain biking clinics for young riders. Here's a summary of our kid's experience. Our 14 year-old mountain biker takes a lap on Dirt Merchant in the Whistler Bike Park. This was part of his week with SGC in July, 2017. A story about audiobooks on a mountain biking with kids website? Abso-freakin’-lutely! Audiobooks are the reason why our mountain biking kids don’t mind long trips in the car. Our youngest has been on this ride for a few months. Find out if the full-suspension Trek Fuel Ex Jr. irons out the bumps while keeping the weight low enough to do the job as an all-mountain/enduro kid's bike. Andrew Shandro is keeping the kids stoked in the Whistler Mountain Bike Park with his week-long clinics dedicated to riders who want to progress. Wyatt tekes a POV lap on the world famous A Line trail in the Whistler Bike Park. We took off for a quick weekend mountain biking trip to McCall, Idaho with the entire family. You could easily spend a week there. Read about the family-friendly fun that is a growing part of Crankworx Rotorua. This is a program for young riders in the Salt Lake City area. It's professionally designed to transition kids from the early stages of riding a bike to mountain biking. Has your kid crashed and hit his/her face on a cross-country mountain bike ride? Read our review or the Bell Super 2r to see what we think about these after a season of riding. Hannah Dickson and her dad Wes are two mountain bikers whose local riding choices include the beautiful Bracken Mountain Preserve in North Carolina. A family of mountain biking enthusiasts make the trip out to California so their twin boys can test their mettle against some of the best riders on the continent. Having the right bike for the right trail applies to riders of all ages and abilities. Former mountain biking world champ, Cecilia Potts, tells us why. This is not the look of fear. It's concentration. And, it took place at Crankworx Rotorua in New Zealand on the first stop of this year's world tour. One the Wisconsin NICA Founding Chairs tells her story of how mountain biking with her toddler lead to the creation of state's high school MTB league. Not everything goes as planned. We thought it would be a good idea to share some of our sharable "Oh crap!" moments. I attended the Trek Dirt Series during the summer of 2016 in Park City, Utah. If you're considering this clinic to improve your mountain biking skills, here's a synopsis of my weekend. The title says it all. But, if you are considering training wheels for your kid's first bike, read on. A bike that fits will help your child be safe and have a good mountain biking experience. This trail is amazing. It features rock rolls, roots, hairpin turns and an elaborate section of wood work.